A Truly Independent Insurance Agency - Jeff Munns Agency, Inc. Here at Jeff Munns Agency, we’re independent. No, we’re not talking about having a particularly independent attitude. Rather, we’re talking about how our business is owned and operated. 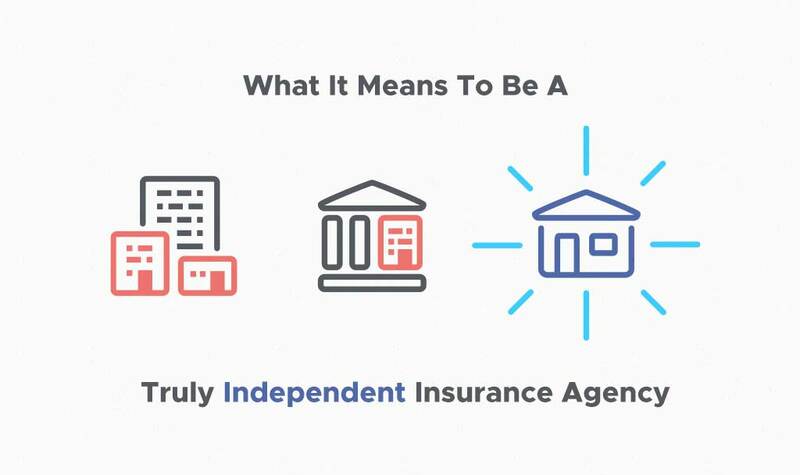 And what does ‘independent insurance agency’ mean? It conveys to you that we are not obligated to a single insurance company. With this independence, we then may truly offer you insurance proposals and policies from many carriers. We also tailor your insurance based upon what you direct is right for you! Since 1990, we have surely and steadily grown to where we are at today. All thanks to our amazing clients who allow us to serve their insurance needs, of course! The reason we believe our clients have chosen us, however, is because of our customer-first approach to business. With independence from a single carrier, we can focus on researching multiple carriers to find options that fit specific needs. Instead of only representing one insurance carrier, we represent many reputable insurance carriers through directly negotiated contracts. Furthermore, we are not part of an insurance aggregator, so you’ll always receive support from the same local staff, regardless of carrier or location. Insurance is our mainstay. We’re not apart of a bank or another industry, which may offer insurance as a sideline add-on or service. In contrast, insurance is our primary business offering and your policy service is our only priority. This is what makes us a truly independent insurance agency. Interested in insuring your cars, home, life or business with us? It would be our privilege to serve your insurance needs, whether that be personal or commercial. Contact us today! Note: The informational statements regarding insurance coverage, discounts, and premiums are for general description purposes only, not legal advice. Coverage of losses are not guaranteed, rather they are subject to the decision of insurance underwriters, police departments, and other authorities. Coverage availability and limits can vary based on person, location, and other variables. Please consult with your insurance agent and review your insurance policies to understand your existing and/or potential coverage options. Read our disclaimer. © 2019 Jeff Munns Agency, Inc.